4.0 out of 5 based on 20 bloggers and 3 commenters. 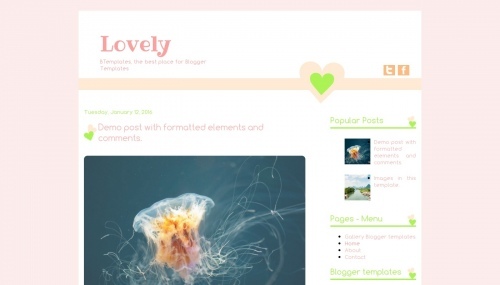 Lovely is a free blogger template with 2 columns, right sidebar, an exclusive design for Blogger, cute design, girly looking and simple look. Good template.This template is just simple and looks good.Just through my site which is similar to this template. Looks lovely as the name is! Sleek, simple and not too much! Thank you.